Sweet little Sunny came to our foster program a few short weeks ago. This little guy has so much personality he shines wherever he goes! He is so lovable and friendly. He is a ray of sunshine! 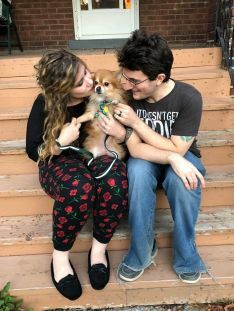 His foster family fell in love and decided to make him an official part of their family! Thanks to everyone who helped Sunny get his second chance!